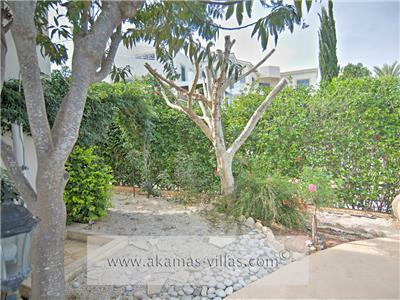 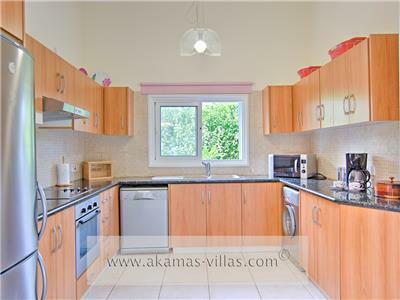 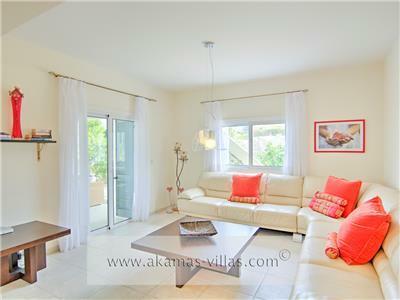 Akamas Sea View Villa is the ultimate holiday home. 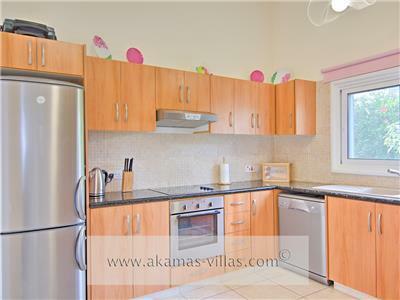 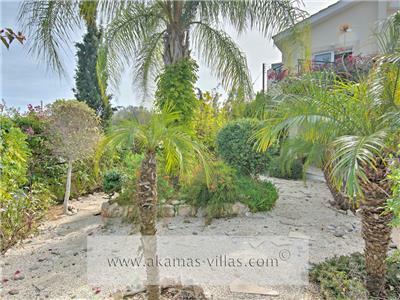 Set in a beautiful garden and only a 5 minute drive to the local shops and restaurants in Latchi, it commands superb views over Chrysochou Bay and the Akamas Peninsula from the two bedroom verandas. 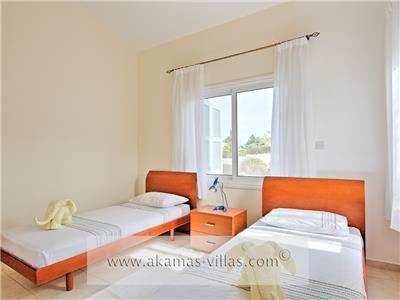 The fully air conditioned accommodation offers open plan living space for up to six people, benefiting from a fully equipped kitchen, which includes a dishwasher and washing machine. 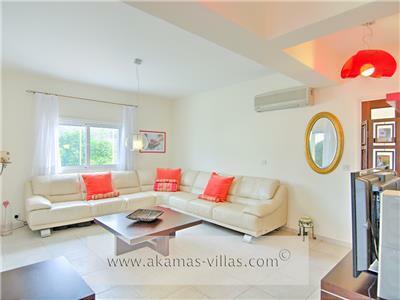 The lounge area offers plenty of seating and has a large flat screen television providing a variety of satellite channels. 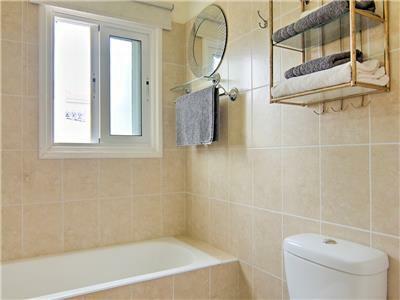 There are two double bedrooms (one en-suite) and one twin bedroom, a family bathroom and a ground floor toilet / shower room. 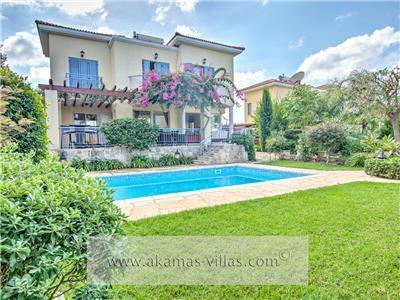 The entertainment veranda is adjacent to the swimming pool and offers a delightful outside dining space complete with barbecue and ample seating. 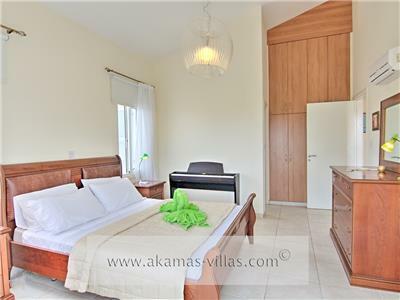 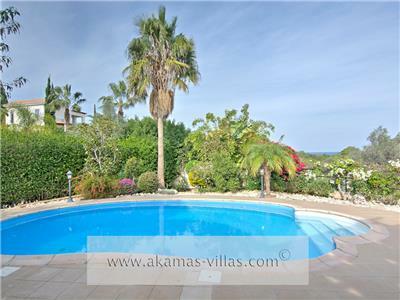 Conveniently located some 35 minutes by road from Paphos International Airport, Akamas Sea View Villa is a leisurely, scenic drive from Cyprus's more established tourist regions through spectacular terrain and quaintly traditional Cypriot villages. 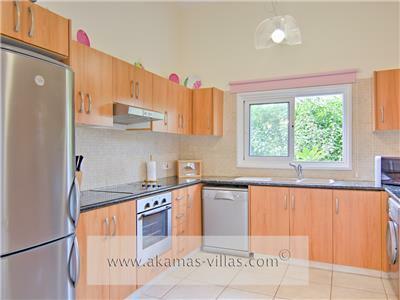 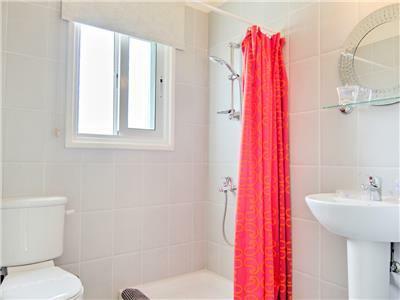 Akamas Sea View Villa is situated approximately 400 metres past the Anassa Hotel on the beautiful coastal road that leads to the Baths of Aphrodite tourist attraction. 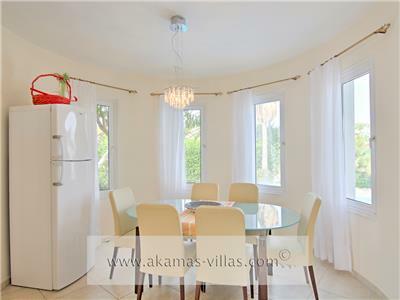 Just 200 metres from the beach, the villa is one of a number of exclusive properties that is close to the picturesque Latchi village, with its pretty harbour and many small seafood restaurants, supermarket and souvenir shops. 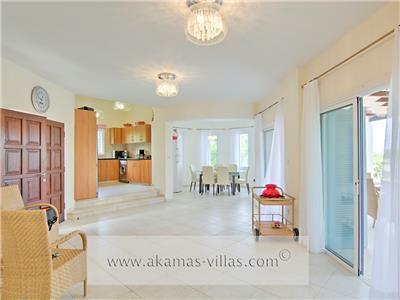 Air conditioning and WIFI is free at this property. 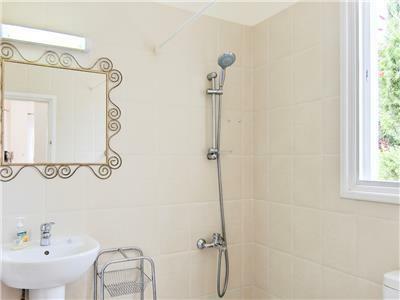 We’d love to spend some more time in this house.